Jaguar Land Rover (JLR) reported total retail sales of 57,114 vehicles in September 2018, down 12.3% year-on-year. The Tata Motors stock fell to its six-year low level in trade today after the firm's UK arm reported a fall in September sales. At 10:40 am, the Tata Motors stock was trading at 184 level, down 13.14% or 28 points from its previous close. It hit a fresh 52-week low of 183 level intra day on BSE compared to the previous close of 212.75. The stock opened at 205.80 level (a loss of 3.27%) in trade today. Jaguar Land Rover (JLR) reported total retail sales of 57,114 vehicles in September 2018, down 12.3% year-on-year despite strong sales for new models including the Range Rover Velar and the Jaguar I-PACE and E-PACE. JLR sales were affected by lower demand in China which accounts for nearly 25% of total demand. Sales in China declined 46.2%, as ongoing market uncertainty resulting from import duty changes and continued trade tensions held back consumer demand. In North America, Jaguar Land Rover sales were 6.9% lower, largely reflecting lower industry sales (down 5.5%) and reduced incentives on Jaguar sedans, although Land Rover had a record September with sales up 7.3%. The large cap stock has been losing for the last five days and has fallen 18.67% during the period. During the last one year, the stock has fallen 56.25%. It has lost 56.78% since the beginning of this year. 25 of 39 brokerages rate the stock "buy" or 'outperform', 11 "hold", two "underperform" and one "sell", according to analysts' recommendations tracked by Reuters. JLR affected the earnings performance of Tata Motors in the first quarter of this fiscal too. 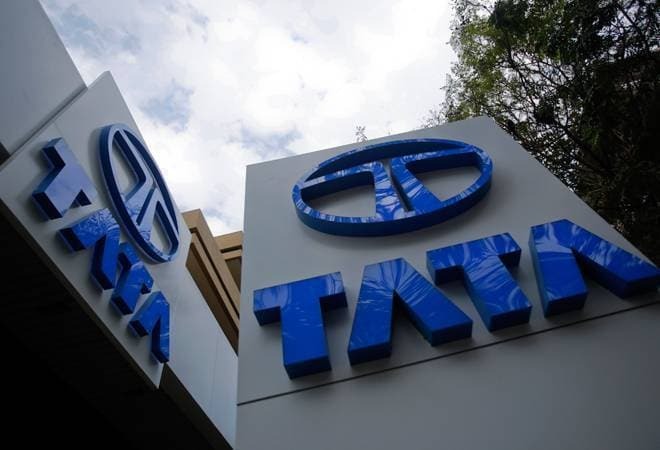 The Tata Group firm reported a consolidated net loss of Rs 1,862.57 crore in the first quarter ended June 30, dragged down by multiple challenges that its British arm JLR faced in major markets, including China, UK, Europe and the US. The company had reported a net profit of Rs 3,199.93 crore in the April-June quarter of 2017-18.